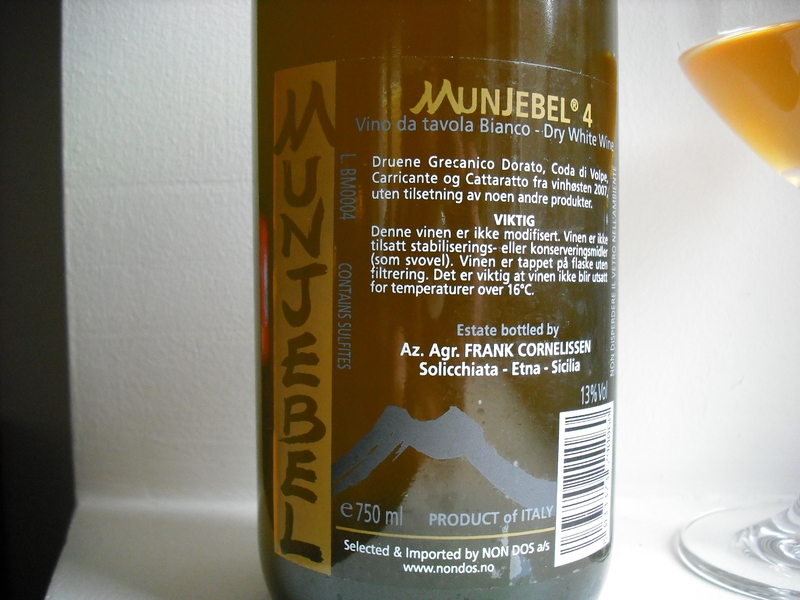 I have written before about Frank Cornelissen. To refresh your memory, click here for one of my previous tasting notes and more about Frank. I may not have mentioned this before, but I feel very fortunate to live in Norway when it comes to wine. We do get our hands on some pretty obscure and rare wines that very few other places in the world get. This wine is no exception. The 2002 was his second vintage in which he produced about 2000 bottles total between the 3 Magma’s and one Rosso del Contadino. 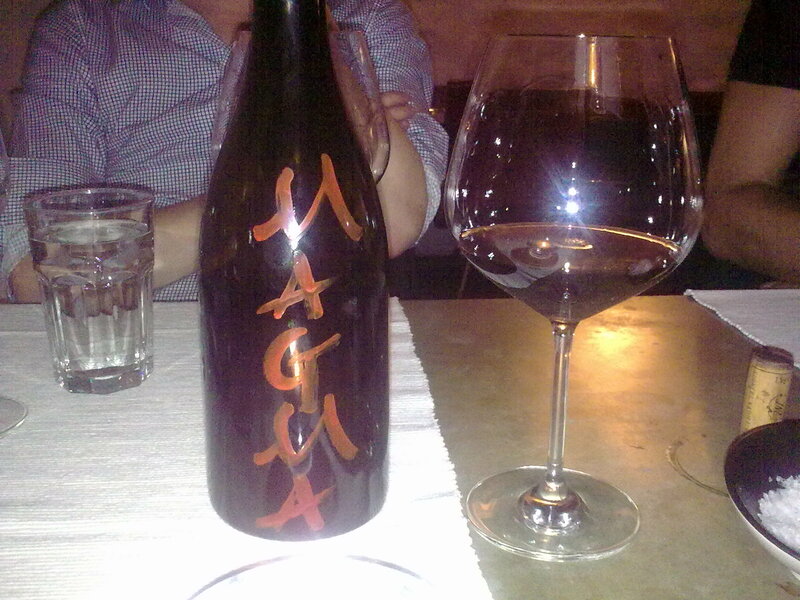 In this vintage, Frank Cornelissen produced 3 different single-vineyard bottling’s of the Magma 2. The Calderara, Trefiletti and the Marchesa vineyards. Approximately 1300 bottles of the Magma’s were produced. That’s it. The Marchesa vineyard is an ungrafted vineyard which is normally very sun exposed and has a good balance between tannins and density. According to Frank, this was a “backward” vintage, and therefore the alcohol was rather low, even harvesting as late as November 2nd. Harvest of the Nerello Mascalese grapes are done by hand and the grapes are foot trodden. The wine was fermented in Amphorae buried in the ground up to the neck (to keep the Amphorae from exploding during fermentation). 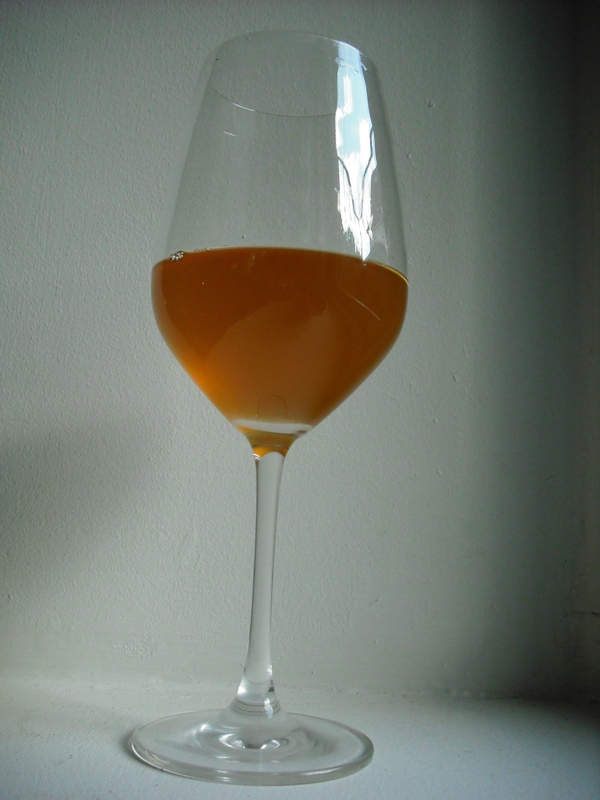 Only indigenous yeasts are used of course, and the wine is left to macerate with the skins for between 5 and 6 months. The wine is bottled directly from the Amphorae without fining nor filtration. Nothing is added nor taken. No added SO2. 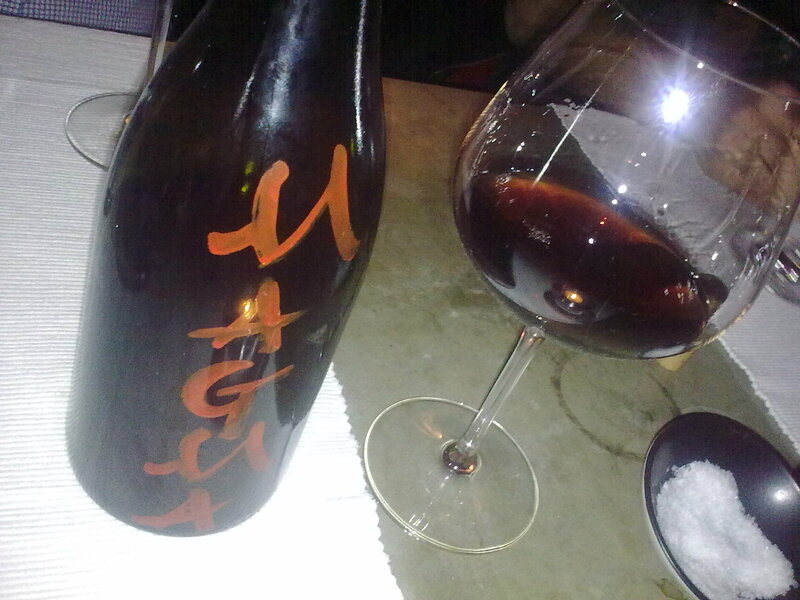 504 bottles of the Magma 2 Marchesa were produced, approximately 150 came to Norway. Like I said, I feel fortunate to live in Norway. Price at time of release, 1000 Norwegian Kroner ($155). Appearance: Very light red but within 15 minutes darkening to a darkish purple, black then going back to red again within a few minutes. This is certainly a “living wine”. Nose: Crushed rose pedals, dark plums, rose hips. Very farmyard, especially dead sheep (the specific dead sheep comparison came from my two Norwegian friends who were tasting with me). Wild, sour, small cherries. Hints of dark cocoa. Hints of Macadamia nuts, eucalyptus. Much more tight and precise than it was the first time I tasted this wine back in 2006. If you breath in deeply, hints of prune juice without the dried fruit aspect. 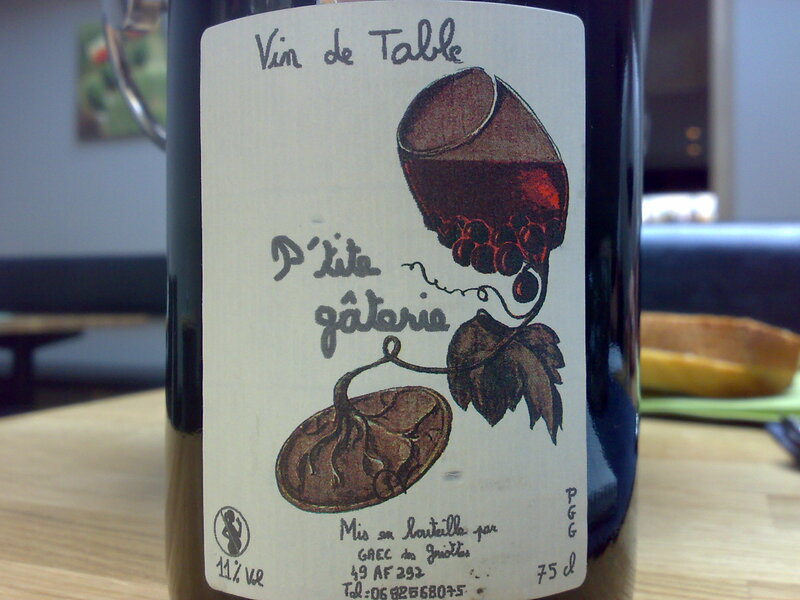 Palate: Extremely concentrated but very light and fresh with red fruit dominating. Within a few seconds, the tannins arrived and held firmly. None of us could sense the 13.7% alcohol, it was extremely well integrated. The acidity was medium plus and very ripe and “sweet”, but the wine is bone dry. Hints of plums that have been picked a week before being over ripe, the fruit is very ripe. No dried fruit evident. Sour fruits. Every sip seems different and has you going back for another. The wine will most likely run out before we finish analyzing this bottle. There is a slight nuttiness on the finish with super-ripe fruit that lingers and these two aromas add incredible complexity to the wine. One of the most fantastic and interesting wines I have ever tasted, again. Tannins really stepping up, but not dominating. More nutty macadamia’s starting to show. The wine seems to be “dying”. The finish seems to fade quickly now. The 3 tasters all agreed that the wine was now dead. Perhaps if we had waited, and if we had any wine left, the wine would have come back alive. I am not sure. I should also mention that this wine was not stored perfectly. To conclude, I feel that this wine will throw many old school wine people off. I believe they will most likely say that the nutty aspects of the wine are signs of oxidation and therefore this wine is not a good wine, and therefore not well-made. This being said, you have to remember that when judging a wine, you must do so as objectively as possible. You cannot let your personal opinion of weather or not you like the wine enter into the equation. There are many well-made wines that I just don’t like, that doesn’t change the fact that the wines are well made. facts that are undeniable and in my opinion reflect an excellent, well-made wine. Don’t get distracted by the nutty aromas and forget the aforementioned quality attributes. 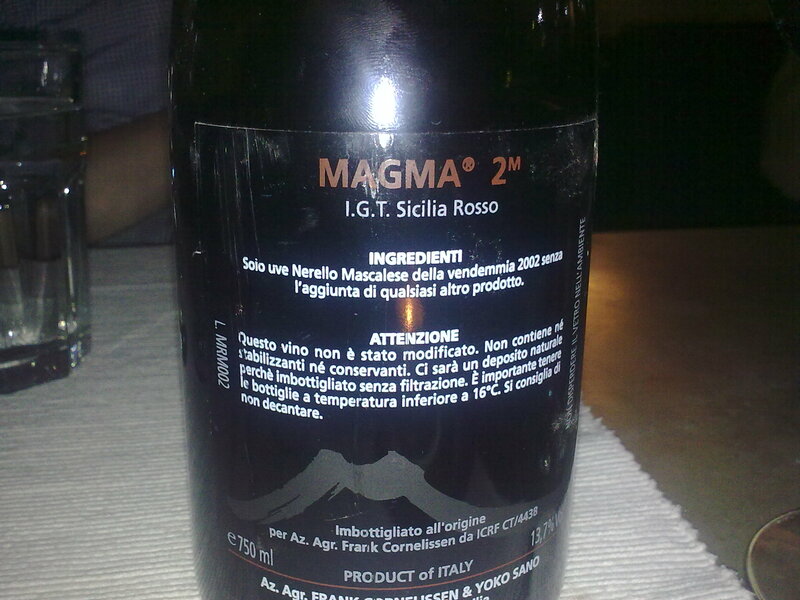 Ingredients: Only Nerello Mascalese Grapes from the 2002 harvest without the addition of any other ingredient. Attention: This wine has not been modified. It doesn’t contain stabilizers nor preservatives. There will be a natural deposit because the wine has been bottled without filtration. It’s important to store the bottle at temperature of less than 16°C (60.8° F). It’s recommended to not decant. In the hills and mountains of Friuli-Venezia Giulia in North Eastern Italy, there are a group of winemakers that wish to make wine like they did centuries ago. They farm organically and believe very firmly in the principles of natural wine making. 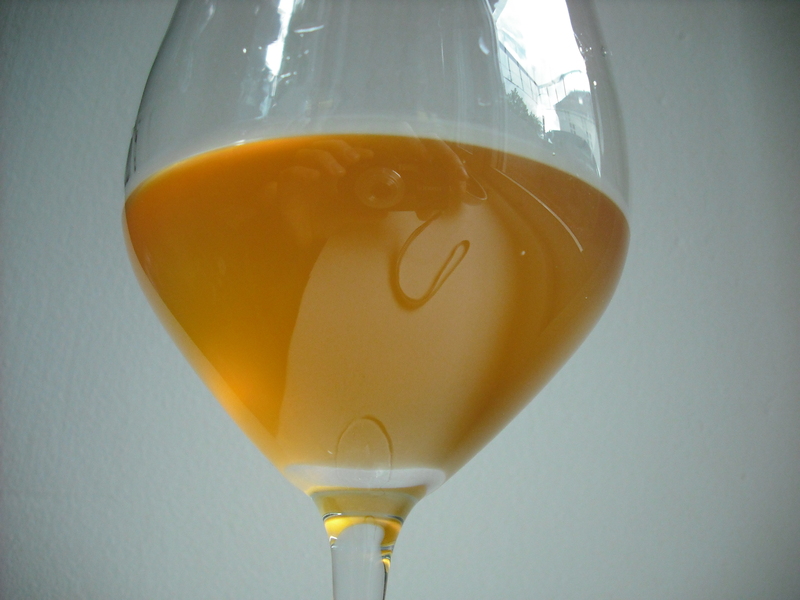 Ancient methods of cultivation are employed and the white wines are treated to extended maceration periods on the skins, producing “orange” wines. Indigenous yeasts are used without the use of temperature control. Fermentation takes place naturally and spontaneously. In some cases, this takes place outdoors in large terracotta Amphorae. The Vodopivec brothers’ Valter and Paolo’s winery is about 20 minutes north of Trieste, near the Slovenian border. The brothers own a nursery and are plant and flower experts. They have been making wine since 1995. Up until the 2005 vintage, they have always used big Botti, now they are also using Amphorae. The Vodopivec brothers usually bottle two different wines from the Vitovska grape. The Vitovska grape is a vine with a greenish-gold berry that has always been cultivated in area of Trieste. 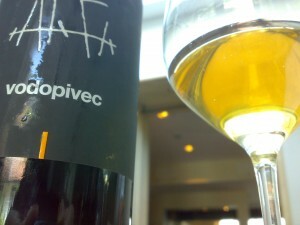 The name of the vine is undoubtedly of Slovenian origin, and was often called Vitovska Garganija. The top bottling is the Solo, comprised of the top selection of grapes from older vines. The second bottling is their second selection. 2005 was a challenging vintage with an overabundance of rain, therefore only one (hand) harvest was made. The Solo cuvée was not produced. After harvesting, approximately 70% of the grapes were then fermented in Botti, the remaining 30% in Amphorae. The wine was macerated with the skins for around 70 days. Only indigenous yeast, no filtration, no treatments. The botti were sprayed with about 10mg/liter of sulfur about 2 weeks before the harvest to “sterilize”. The Amphorae were not sprayed. Appearance: Apricot, amber color. Clean. Medium plus intensity. Nose: Spice, Cinnamon. Kumquat, Umami and orange peel. Very intense and complex nose. Keeps you going back to the glass to smell and smell again. Also leaves the impression that this wine could be very fruity or even sweet. Palate: Medium tannins and extremely focused fruit. Orange peel and touches of spice. Medium plus, mature acidity with a smooth, long and elegant finish. Bone dry. Really complex with some minerality on the finish. Best enjoyed at closer to room temperature. Goes very well with mature goat cheese. I have also found success pairing this wine with pork belly in an Asian inspired sauce. Although extremely enjoyable now in it’s youth, the wine’s concentration indicates to me the potential to lay down in the cellar for 5-8 years; perhaps more. Located in the Anjou region of the Loire Valley in France, the Domaine Griottes is a natural wine maker making very interesting wines. This wine is a Vin de Table, or Table wine, made with 40% Pineau d’Aunis, 30% Grouillot and 30% Gamay. The Pineau d’Aunis grape was more widely planted in the Loire in the past but has been largely ripped out to make more room for commercial grapes. Dating back to medieval times, this individual variety bears small black grapes. The grapes for this wine are picked entirely by hand. The maceration period is between 60-70 days in fiberglass. No treatments, no sulfur, no filtration nor fining. 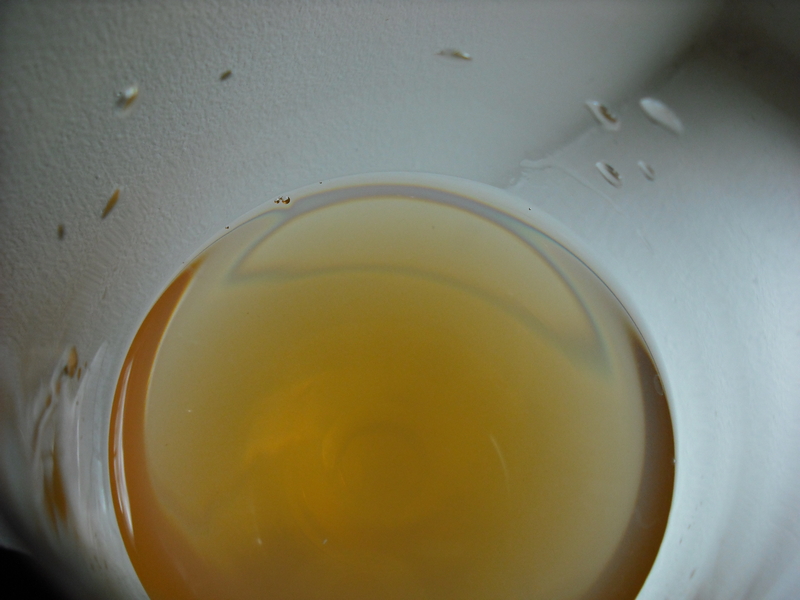 Only indigenous yeast – spontaneous fermentation. 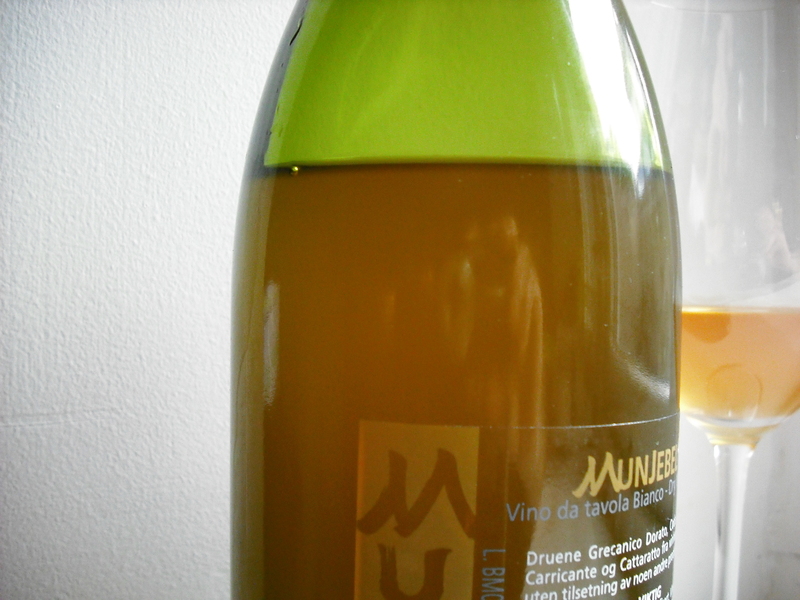 This wine was bottled around August of 2007 and is totally without any additives. It’s totally natural. Appearance: Light Color. Dark pink rose pedal, light red. See through like a Pinot Noir. In a blind tasting, the Pinot Noir would be the first grape I would think of. Nose: Incense, white pepper, black tea, musk, cherry and raspberries. With some air, hints of blackberries also emerged. Very complex for a light & fresh wine with only 11% alcohol. Hints of saddle or baseball mitt and hints of licorice also emerging. Palate: Light and fresh with medium plus acidity. Medium fruit tannins with precise, focused fruit shining through. Red plums and plum pits. Long, fruity finish with persistent well-integrated tannins. The alcohol is extremely well integrated. Appearance: Only slightly darker, but not much color change noticeable. Nose: Less of the exotic spices, more dark plums and hints of blackberry. Seems a bit more closed tonight then it did yesterday afternoon..With more glass swirling, more of the pepper and licorice emerged again. 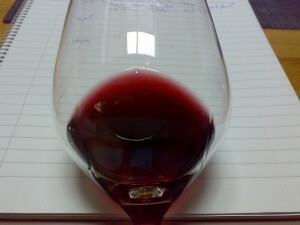 Palate: Tannins are firmer than yesterday, but still only at a medium minus to medium level.. Some roasted meat aromas and rosemary. Dark plums. Acidity still medium to medium plus. Some hints of pepper, smoke and minerals in the background. Compared to yesterday, less aromatic and spicy on the nose. Not as exotic. A bit more focused and serious. Good concentration while still remaining light and fresh with a 30 second finish. The alcohol is a bit more noticeable than yesterday.. Will retaste tomorrow. Nose: Again, less exotic and less “spicy”. More perfumed and floral. Dark plums and morel cherries. Hints of red fruit and anise. A bit nutty. Palate: Superb concentration with hints of hazelnuts. A bit darker fruit, plums and some blackberries, with supporting red fruit like raspberries. Mild plus tannins. Medium acidity. Quite elegant and long with a smoky aftertaste. Surprisingly structured and still drinking well. A bit more serious than yesterday with very well integrated alcohol. Drinking very well today. I will continue to focus on wines made naturally and I will hopefully also eventually have the will power to keep a bottle open for a longer period. Please stay tuned. 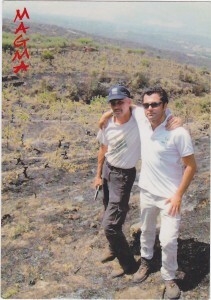 Frank & Alberto at the top of 'Rampante', the pre-phylloxera vineyard at 1010m altitude located above Solicchiata on Mt Etna after the devasting forest fire of 3 full days & nights. 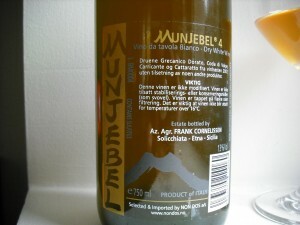 Of all the “natural” wines I have tasted, Frank’s are always the most interesting. I am not saying that his wines are the most well-made of the natural wines I have tasted, but his are always the most engergetic. And, definitely the most natural tasting compared to his counterparts. From the very rustic labeling, to the almost opaque wines that are very obviously not filtered nor fined. 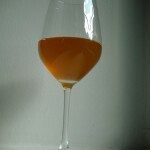 This “orange” wine is no exception. Made from the local (white grapes) Grecanico Dorato, Coda di Volpe, Carricante and Cattaratto grapes, this orange wine is barely see through. This cloudy wine is so packed full of sediment that I swore I could see chunks of grapes floating towards the bottom of the bottle. Of course this is a “slight” exaggeration, but it sure made me happy knowing that this wine was made from something (grapes) that was growing wild in the vineyards, and nothing else. His wines are the most natural of the natural wines I have tasted, and this wine was no exception. His wines have a certain “energy” about them which is hard to put in words, but they make you feel good. 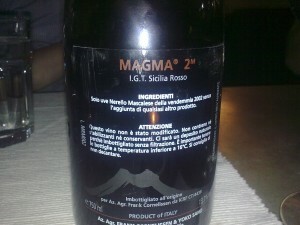 The grapes for this wine come from various vineyards on Mount Etna owned and cared for by Frank. Frank harvests the approximate 13ha/hl of grapes totally by hand. The bunches of grapes are put into a destemmer and crushed, not pressed at this time. This machine is more of a crusher than a destemmer as it hardly removes any of the stems at all. The must is then placed into plastic containers in his backyard (no temperature control here) which are then covered with a tent-like plastic material to keep the rain out. Of course only indigenous yeast here. 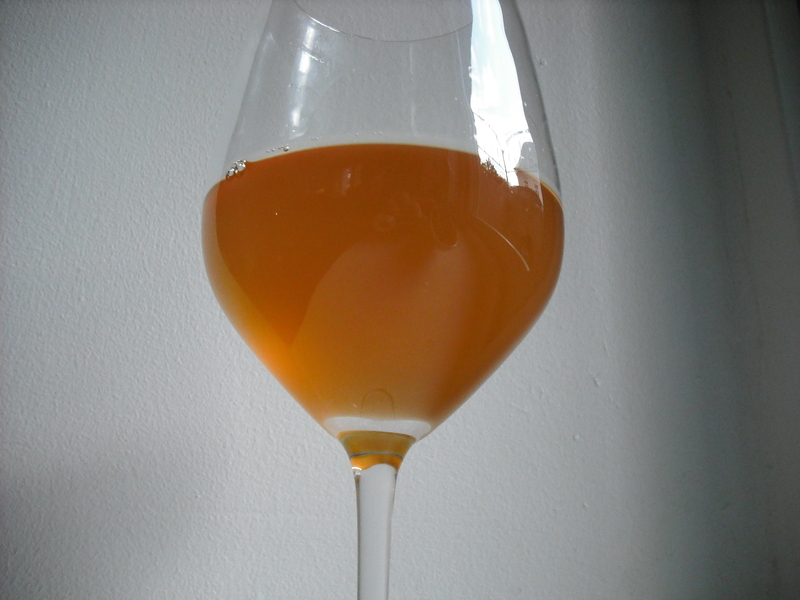 The wine is left to spontaneously ferment and macerate with the skins for about 4 months giving the wine it’s apricot-hued glow. The wine is then pressed into Amphorae with the help of gravity and then bottled. Absolutely nothing else is added to this wine. Nothing. Not even SO2 (Sulfur Dioxide). 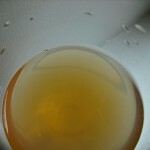 The wine is not fined nor filtered before being bottled and this is evident. Since Frank bottle’s his wine without filtration, the last wines bottled have more sediment than the first ones. Appearance: A very cloudy, unfiltered appearance. Loads of sediment which are very visible to the naked eye. 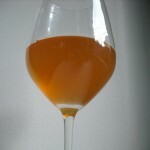 In the glass, the wine has an apricot juice hue with a medium intensity. 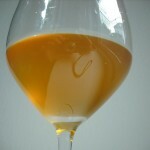 It is hard to analyze intensity with an unfiltered wine of this type (wine with high intensity glows can indicate a high level of intensity and vice versa). Nose: Apricots with hints of minerals and loads of farmyard (those of you familiar with red Burgundy know what I am talking about). 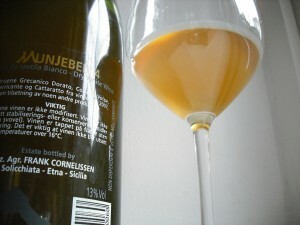 The distinctive (for me) Cornelissen pickle juice. Dry hay and flowers. 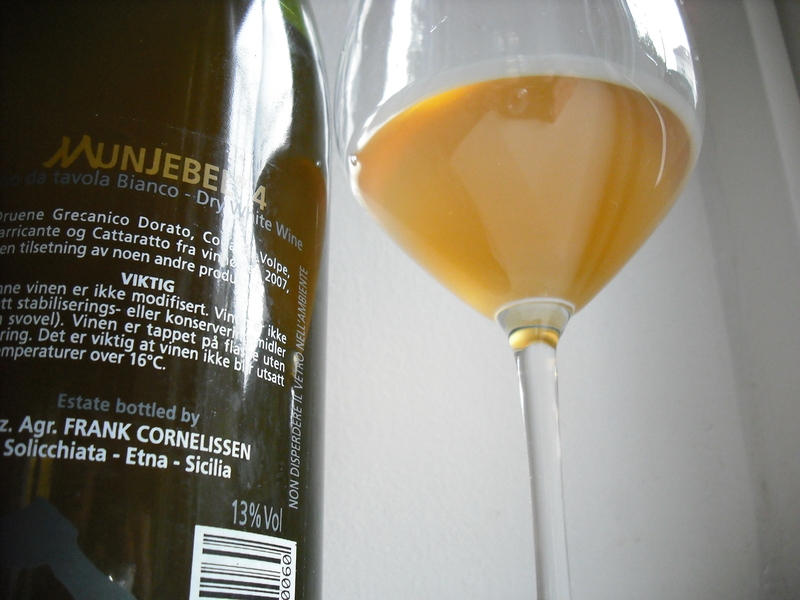 Palate: Wild just like the other Cornelissen wines. Typical. A little tingle at the front of the tongue initially from the slight residual CO2, which quickly burns off with a little swirling of the glass. Medium minus tannins. High acidity, but not harsh, just mouth watering and mature. Pickles and smoke. Kumquats. Essence of apricots and peaches, but not sweet. Bone dry with around 2g/liter of residual sugar according to my palate. Nose: Much more pickles and farmyard. Less distinct apricots. The apricot aromas I do get are of unripe apricots. Palate: Medium minus tannins. Rosemary, sweet yellow fruit at the back end, apricots. Finish is long and persistent with mild tannins, great acid and smokey flavors. The wine sits and sits. Interesting to note that although the wine was dry, it paired well with sweeter dishes. It worked well with my honey and lemon marinated chicken. It was also working surprising well with my Mexican Cactus Fruit.. Strange…. I’m always fascinated with the fact that the few bottles of natural wine that I manage to keep open a few days seem to only improve. 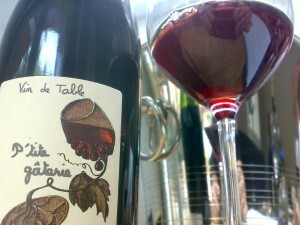 Wine Tasting with Vinosseur – 2007 Frank Cornelissen Rosso del Contadino 5 from vinosseur on Vimeo.